Three-year-old Dayanara – who goes by Daya – lives in Sunnyvale, California, with her mother, father and two brothers (ages 11 and 19) in a home the family rents. Daya is full of life and personality and is described by her mom as a “diverse little lady” whose interests vary greatly. Daya loves tutus and big dresses, but also enjoys playing sports and wrestling around with her dad and brothers. Daya was diagnosed with acute lymphoblastic leukemia in August of 2016. She was immediately transferred to Lucile Packard Children’s Hospital Stanford and admitted to the NICU. Her cancer was identified as high-risk and she soon began the high-dosage chemotherapy she has remained on ever since. Daya’s oncology team recently determined that she would need a bone marrow transplant. The family is hopeful they will find a donor match soon. 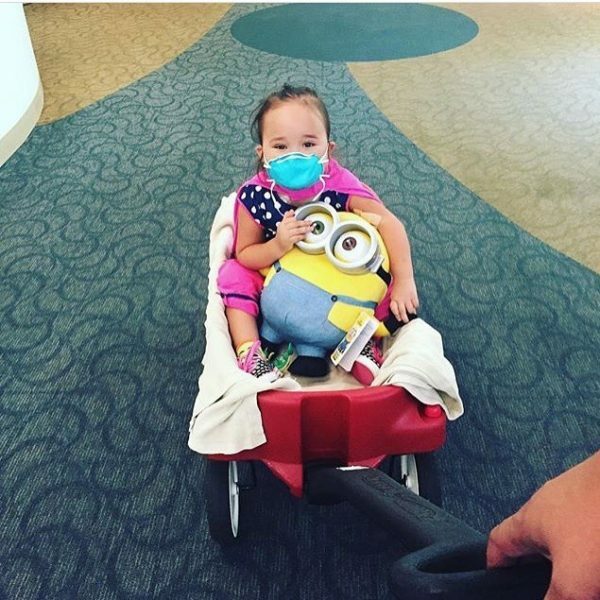 In the meantime, Daya is only able to leave her home for doctors’ appointments. The entire journey has been difficult – emotionally, physically, spiritually and financially. Daya’s father has quit his job to be Daya’s full-time caretaker and her mother is now the sole income provider for their family of five. Daya has remained positive despite the hardship she has endured. Family Reach provided a grant to assist with their rent during this stressful time. The family was deeply grateful for the support. “I personally wanted to thank you, as it was a tremendous help for me. God bless your organization and what you do for people in need,” said Daya’s mother. This grant has allowed the family to focus on getting Daya to treatment and continuing their fight. Daya has remained tremendously strong throughout it all and the family hopes that soon her father will be able to begin working. Interested in helping families like Daya’s? Become a Key Holder today!